Place the stock, butter, salt and pepper in a 2 cup-capacity (500ml) ovenproof frying pan over medium heat. Bring to the boil and gradually stir in the polenta. Cook, stirring, for 1 minute or until thickened. 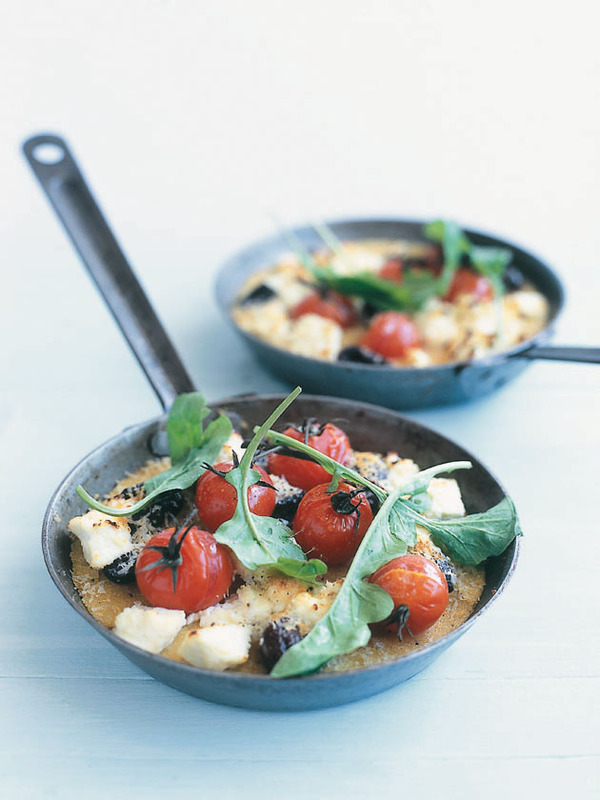 Top with the parmesan, ricotta, tomatoes and olives and place under a pre-heated grill (broiler) for 10–12 minutes or until golden. Top with rocket to serve. Serves 2.